Citation: Fernandez AI, Herrá RU (2018) Wolman Disease and Cholesteryl Ester Storage Disease: Two Entities of the Same Deficiency. J Genet Disord. 2:11. The deficiency of lysosomal acid lipase (DLAL) is a rare disease caused by a congenital error of lipid metabolism, which is characterized by the deposit of cholesterol esters and triglycerides in the body. Clinically the disease begins in the perinatal period but in adults develops chronic liver disease and may have premature cardiovascular disease. The new method of diagnosis is based in the determination of the enzymatic activity of LAL in dried blood spots for screening programs. The DLAL treatment had consisted in the use of support measures, which do not prevent its progression. Although last years, in USA has appeared a new enzyme substitution treatment that has been associated with significant improvements in lipid and liver parameters, with increased survival in infants with rapidly progressive disease. The deficiency of lysosomal acid lipase (DLAL, MIM#278000) is a rare autosomal recessive disease, due to a congenital error of lipid metabolism at the level of the lysosome, which is characterized by the deposit of esterified cholesterol (EC) and triglycerides (TG) in different tissues (liver, spleen, intestine, suprarenal glands and cells of the mononuclear phagocytic system). The disease is caused by the decrease or absence of activity of the lysosomal acid lipase enzyme (LAL, catalyst for the hydrolysis of EC and TG in fatty acids and free cholesterol), caused by mutations in the LIPA gene located in long arm of chromosome 10 (10q23.2). This lack of activity leads to the progressive accumulation of CE and TG, leading to the development of progressive liver disease and dyslipidemia associated with accelerated atherosclerosis, which are the main manifestations of the disease. DLAL is presented with 2 main phenotypes, historically known as Wolman's disease in infants and CE storage disease in children and adults. The cellular uptake of the low density lipopreins cholesterol (LDL-C, "low-density lipoprotein cholesterol") is mainly carried out through its corresponding membrane receptor (RLDL). LDLc is transported to lysosomes, where EC and TG are hydrolyzed by LAL, releasing cholesterol and free AG that are involved in the regulation of the metabolism of different lipoproteins (such as high density lipoproteins [HDL, "high density lipoproteins"] and the very low density lipoproteins [VLDL, "very low density lipoproteins"]). In patients with DLAL, the decrease or absence of LAL activity causes the accumulation of CE and TG in the lysosomes of different tissues . The lower availability of free cholesterol in the cytosol modulates compensatory molecular mechanisms, the most important being the upregulation of the expression of the RLDL and the enzyme hydroxy-methyl-glutaryl-coenzyme A (HMG-CoA) reductase, which leads to an increase in the synthesis of endogenous cholesterol. Likewise, it increases the synthesis of apolipoprotein B (ApoB100) to facilitate the export of intrahepatic cholesterol through VLDL. The deficiency of lysosomal acid lipase was first described in 1956 by Abramov, Schorr and Wolman when objectifying in a 2-monthold infant born of consanguineous parents, accumulations of cholesterol esters and triglycerides in liver, spleen, adrenal glands and ganglia lymphatics along with adrenal calcifications. In 1969, Patrick and Lake demonstrated that this accumulation was secondary to the deficit of activity of lysosomal acid lipase, which is the enzyme responsible for the hydrolysis of cholesterol and triglyceride esters when passing from peripheral blood to the cell, particularly when these form low lipoproteins density . DLAL is a rare disease with an estimated prevalence in its early onset form of 1/350,000 births. The prevalence of late-onset DLAL, estimated based on the frequency of the E8SJM mutation in the general population, is between 1/60,000 and 1/130,000 people, depending on ethnicity and geographical location. However, it is likely that the prevalence of the disease in the general population is underestimated because the milder phenotypes may remain asymptomatic and go unnoticed . The phenotypic spectrum of lysosomal acid lipase (LAL) deficiency ranges from the infantile-onset form (Wolman disease) to later-onset forms collectively known as cholesterol storage storage disease (CESD). Both entities have their own clinical characteristics but are based fundamentally on the deposit of esterified cholesterol (EC) and triglycerides (TG) in different tissues . Wolman disease is a serious and rapidly progressive pathology. It is characterized by infantile-onset malabsorption that results in malnutrition, storage of cholesterol and triglycerides in hepatic macrophages that result in hepatomegaly and liver disease, and adrenal gland calcification that results in adrenal cortical insufficiency. Unless successfully treated with hematopoietic stem cell transplantation (HSCT), infants with classic Wolman disease do not survive beyond age one year . CESD may present in a similar way to Wolman disease or later in life with such findings as serum lipid abnormalities, hepatosplenomegaly, and/or elevated liver enzymes long before diagnosis is made. The morbidity of late-onset CESD results from atherosclerosis (coronary artery disease, stroke), liver disease (eg, altered liver function ± jaundice, steatosis, fibrosis, cirrhosis and related disorders of esophageal varices, and/or liver failure), secondary hypersplenism (ie, anemia and/or thrombocytopenia), and/or malabsorption. Individuals with CESD may have a normal life span depending on the severity of disease manifestations . The progressive accumulation of CE and TG in hepatocytes and the associated alteration of lipid metabolism justify the main clinical signs (hepatomegaly) and biochemical signs (elevation of transaminases, LDL-C, and TG in serum, usually with low concentrations of HDL-C) of the disease. In the absence of hepatic insufficiency, patients can develop atherosclerosis in an accelerated way, with an early onset of cardiovascular problems . Initial and differential diagnosis: The low prevalence of DLAL, together with the great clinical overlap with other more frequent diseases, makes its recognition difficult. In general, the presence of abnormalities in liver function tests and/or lipid profile without an obvious cause should raise the suspicion of a possible DLAL. The average age of onset of the first signs and symptoms is around 5 years. Patients with early onset DLAL and those in childhood tend to start with liver signs and symptoms, while in adults the most striking manifestation may be hyperlipidemia. The initial diagnosis of DLAL is mostly made based on the clinical history, physical examination of the patient (hepatomegaly) and the findings in the biochemical tests such as elevated transaminases with a typical serum lipid profile: high total serum concentrations of cholesterol, low-density lipoprotein and triglycerides and low serum concentration of high-density lipoprotein . The lipid phenotype observed in patients with DLAL is similar to that of other diseases, such as heterozygous familial hypercholesterolemia caused by mutations of the LDLR, APOB or PCSK9 genes, combined familial hyperlipidemia (HFC), autosomal recessive hypercholesterolemia (HAR). The DLAL distinction of these pathologies is carried out through a detailed analysis of family history [9,10]. The hepatomegaly and the persistent hypertransaminasemia observed in patients with DLAL, together with the fatty infiltration of the liver, could lead to the erroneous diagnosis of much more frequent hepatic complaints, such as non-alcoholic fatty liver disease or non-alcoholic steatohepatitis. It should be noted that hypercholesterolemia (in the absence of cholestasis) observed in infants affected with DLAL during the first year of life can lead to the suspicion of glycogenosis type vi/ix or Niemann-Pick disease before the development of neurological symptoms [11,12]. Confirmation diagnosis (Determination of lysosomal acid lipase activity): The determination of the enzymatic activity of LAL is a reliable and reproducible method for the screening and diagnosis of DLAL from different biological samples (peripheral blood leukocytes, fibroblasts, dry blood spots [DBS]). The DBS technique, which greatly facilitates the screening of the disease, is based on the in vitro determination of the activity of LAL in the presence of substrates (palmitate, oleate, etc.) covalently modified with a fluorocromo (4-methylumbelliferone), allowing the quantification of the fluorescent product released by emission spectroscopy or fluorimetry. Due to the presence of different lipases, both in intra and extracellular media, and the use of modified substrates not specific for LAL, the development of a potent inhibitor of LAL was crucial for the standardization of the technique. The activity of the LAL results from the difference in the results obtained by incubating the enzyme in the presence or absence of the inhibitor Lalistat 2. The results of activity in the DBS within the reference range or higher (activity between 0.50- 2.30nmol/punch/h) allow discarding the enzymatic deficiency. In the case of obtaining results below the reference interval (activity <0.5nmol/punch h), preanalytical anomalies should be ruled out in the sample by testing other lysosomal reference enzymes such as beta-galactosidase . If this last fact is discarded, it is advisable to carry out enzymatic studies of DLAL in cell extracts and/or molecular analysis of the LIPA gene. In view of a result of practically undetectable enzymatic activity, the analysis of the LIPA gene must be considered in order to identify the responsible genetic alteration and thus obtain the molecular diagnosis of certainty of DLAL [1,8]. Molecular analysis of the LIPA gene: The study by molecular genetic techniques of the coding regions of the LIPA gene provides information on the genotype of patients with reduced activity of LAL or in those with suspected DLAL. The functional genetic defect will always be found in homozygosity or compound heterozygosity. The distribution of the E8SJM mutation in different ethnic groups is very unequal, so in populations with a lower prevalence of this allele, the genetic screening of this mutation may not be the optimal diagnostic approach [14,15]. Diagnostic tests by imaging and liver biopsy: 3T nuclear magnetic resonance imaging (MRI) of liver is a non-invasive method that quantifies the liver fat content in the diagnosis and follow-up of patients with DLAL. In pediatric patients, in whom the use of sedation is necessary in this procedure, hepatic ultrasound can be considered. Liver biopsy can provide morphological information that suggests the existence of a DLAL, such as the existence of microvesicular steatosis with involvement of Kuppfer cells or the accumulated imprint indicative of free cholesterol crystals, together with the use of certain techniques of immunohistochemistry that detect lysosomal proteins . Liver biopsy is considered to be the reliable gold standard for assessing liver damage and monitoring the progression of the disease, although it is an invasive method and should be assessed individually. Support treatments: Classically, the treatment of patients with DLAL has been based on support measures aimed at reducing the complications of the disease. Although some of these measures have been related to some clinical improvement, there are no controlled studies on their efficacy and safety, and the available data are scarce and inconclusive . Hypolipidemic treatment: Treatments for the control of dyslipidemia in patients with DLAL include the introduction of a low-fat diet and the use of lipid-lowering drugs. In relation to statins, and despite the fact that beneficial effects have been demonstrated in patients with DLAL, its use in monotherapy or in combination with other lipid-lowering agents is not always as effective in reducing LDL-C as in patients with hypercholesterolemia due to other causes . Enzyme replacement therapy: Enzyme replacement therapy (ERT) with sebelipase alfa was recently approved by the FDA and is administered at a dose of 1 mg/kg body weight every other week; this treatment can be life saving for those with severe Wolman syndrome and life improving with prolonged survival in those who have CESD. Consider referral to a liver specialist . Liver transplantation: Liver transplantation may be indicated when liver disease progresses to cirrhosis and liver failure . • DLAL is a rare autosomal recessive disease of lipid metabolism at the level of the lysosome, caused by mutations in the LIPA gene and characterized by the systemic and progressive accumulation of EC and TG. • The screening of the disease is determined by measure the activity of LAL in DBS and confirmed with the molecular analysis of LIPA gene. Michelakakis H, Dimitriou E, Labadaridis I (2004) The expanding spectrum of disorders with elevated plasma chitotriosidase activity: An update. J Inherit Metab Dis 27: 705-706. Gramatges MM, Dvorak CC, Regula DP, Enns GM, Weinberg K, et al. (2009) Pathological evidence of Wolman’s disease following hematopoietic stem cell transplantation despite correction of lysosomal acid lipase activity. Bone Marrow Transplant 44: 449-450. Yanir A, Allatif MA, Weintraub M, Stepensky P (2013) Unfavorable outcome of hema- topoietic stem cell transplantation in two siblings with Wolman disease due to graft failure and hepatic complications. Mol Genet Metab 109: 224–226. Burton BK, Deegan PB, Enns GM, Guardamagna O, Horslen S, et al. (2015) Clinical features of lysosomal acid lipase deﬁciency. J Pediatr Gastroenterol Nutr 61: 619-625. Grabowski GA, Charnas L, Du H (2012) Lysosomal acid lipase deﬁciencies: The Wolman disease/cholesteryl ester storage disease spectrum. OMMBID, 8th eds, McGraw-Hill, New York, USA. Reynolds T (2013) Cholesteryl ester storage disease: A rare and possibly treatable cause of premature vascular disease and cirrhosis. J Clin Pathol 66: 918–923. Stein J, Garty BZ, Dror Y, Fenig E, Zeigler M, et al. 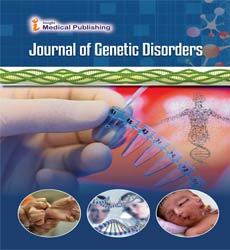 (2007) Successful treatment of Wolman disease by unrelated umbilical cord blood transplantation. Eur J Pediatr 166: 663–666. Reiner Z, Guardamagna O, Nair D, Soran H, Hovingh K, et al. (2014) Lysosomal acid lipase deﬁciency-An under-recognized cause of dyslipidaemia and liver dysfunction. Atherosclerosis 235: 21-30. Pajares S, Arias A, Garcia-Villoria J, Macias-Vidal J, Ros E, et al. (2015) Cholestane-3beta, 5alpha, 6beta-triol: High levels in Niemann-Pick type C, cere- brotendinous xanthomatosis, and lysosomal acid lipase deﬁciency. J Lipid Res 56: 1926–1935. Cebolla JJ, de Castro-Oros I, Irun P, Alfonso P, Lopez de Frutos L, et al. (2015) Experience with 7-ketocholesterol and ccl18/parc as surrogated bio- markers in a series of Spanish Niemann-Pick disease type C patients. Mol Genet Metab 114: S29. Bernstein DL, Hulkova H, Bialer MG, Desnick RJ (2013) Cholesteryl ester storage disease: Review of the ﬁndings in 135 reported patients with an underdiagnosed disease. J Hepatol 58: 1230–1243. Vom Dahl S, Harzer K, Rolfs A, Albrecht B, Niederau C, et al. (1999) Hepatos- plenomegalic lipidosis: What unless Gaucher? Adult cholesteryl ester storage disease (CESD) with anemia, mesenteric lipodystrophy, increased plasma chi- totriosidase activity and a homozygous lysosomal acid lipase -1 exon 8 splice junction mutation. J Hepatol 31: 741–746. Chamoles NA, Blanco MB, Gaggioli D, Casentini C (2001) Hurler-like phenotype: Enzymatic diagnosis in dried blood spots on ﬁlter paper. Clin Chem 47: 2098-2102. Anderson RA, Rao N, Byrum RS, Rothschild CB, Bowden DW, et al. (1993) In situ localization of the genetic locus encoding the lysosomal acid lipase/cholesteryl esterase (LIPA) deﬁcient in Wolman disease to chromosome 10q23.2-q23.3. Genomics 15: 245–257. Aslanidis C, Klima H, Lackner KJ, Schmitz G (1994) Genomic organization of the human lysosomal acid lipase gene (LIPA). Genomics 20: 329–331. Hulkova H, Elleder M (2012) Distinctive histopathological features that support a diagnosis of cholesterol ester storage disease in liver biopsy specimens. Histopathol 60: 1107–1113. Cagle PT, Ferry GD (1986) Clinicopathologic conference: Pulmonary hypertension in an 18-year-old girl with cholesteryl ester storage disease (CESD). Am J Med Genet 24: 711–722. Levy R, Ostlund RE Jr, Schonfeld G, Wong P, Semenkovich CF (1992) Cholesteryl ester storage disease: Complex molecular effects of chronic lovastatin therapy. J Lipid Res 33: 1005–1015. Balwani M, Breen C, Enns GM, Deegan PB, Honzik T, et al. (2013) Clinical effect and safety proﬁle of recombinant human lysosomal acid lipase in patients with cholesteryl ester storage disease. Hepatol 58: 950–957. Sreekantam S, Nicklaus-Wollenteit I, Orr J, Sharif K, Vijay S, et al. (2016) Successful long-term outcome of liver transplantation in late-onset lysosomal acid lipase deﬁciency. Pediatr Transplant 20: 851–854.